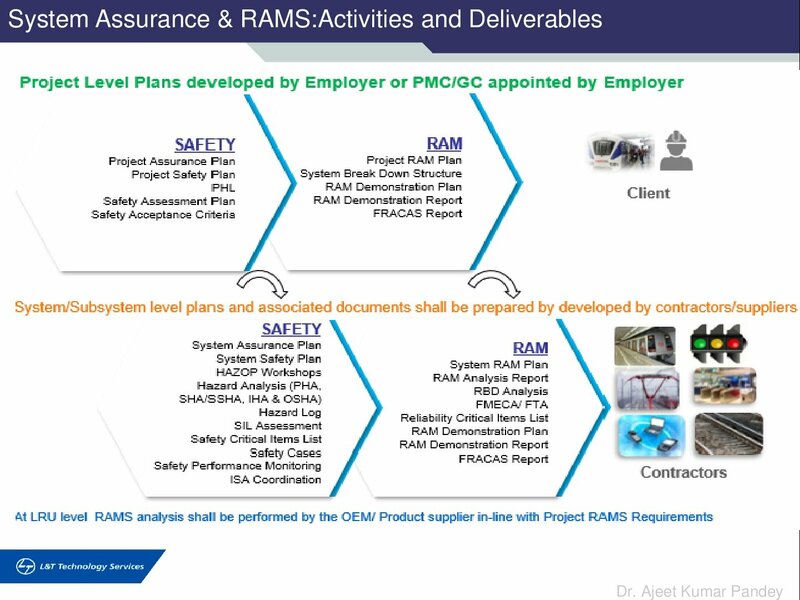 In the present scenario of global competition RAMS ( Reliability, Availability, Maintainability and Safety) Engineering plays a vital role in design, maintenance, safety/security and management of engineering systems. Reliability is considered one of the most important performance assessment index for most of the industrial products, processes and services. It focuses on systematic study and analysis of failures and developing methods for eliminating them or at least minimizing their occurrence with minimum damage to system and environment. 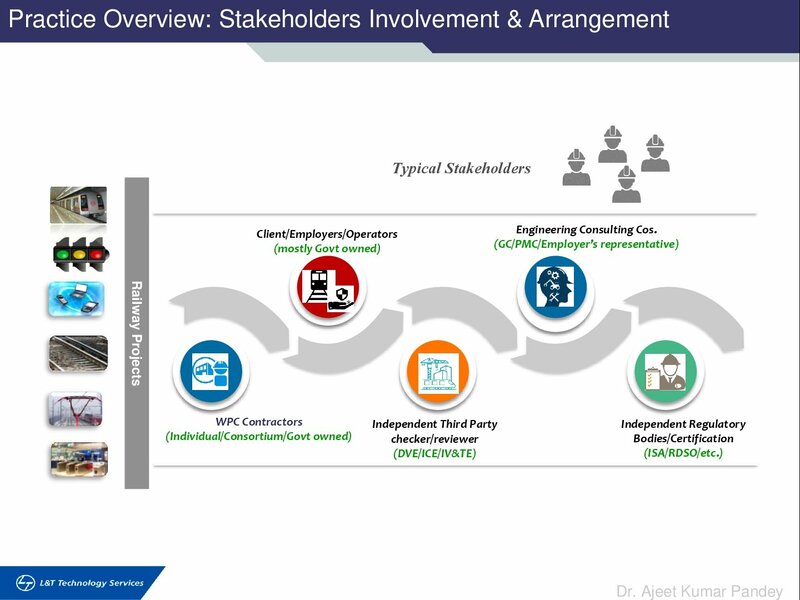 It is truly interdisciplinary in nature since failures are not limited to any particular types of engineering systems, processes and services. It is in effect a specialization sought by all engineering practitioners and researchers. 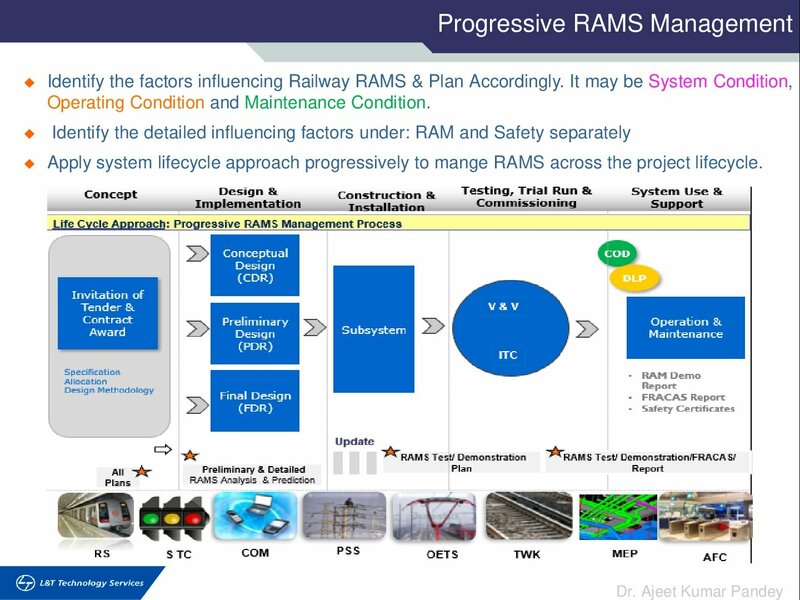 In Railways, the RAMS Engineering and Management can be applied to all Railway Systems and plays an important role at different stages of product life cycle starting from conceptual design, manufacturing, operation, maintenance, replacements to disposal. 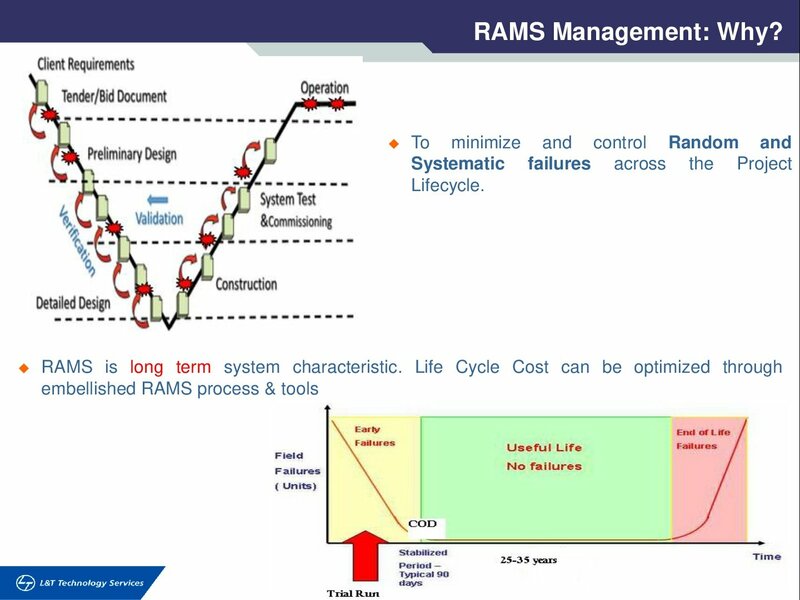 It systematically designs, studies failure process, finds out the root causes, suggests improvements and quantifies the product performance over a period of its mission time in contrast to the conventional engineering practices, which mainly focus on design of systems for certain specific functional requirements. 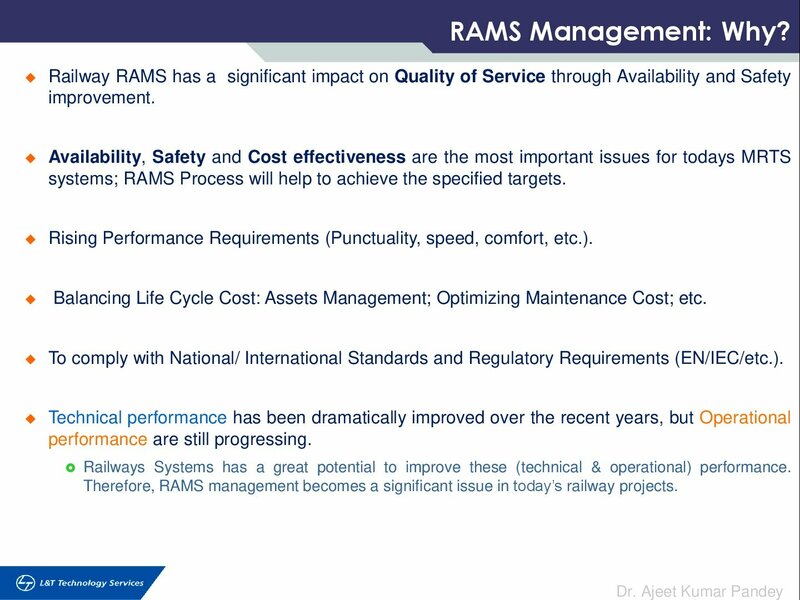 Reliability, Availability, Maintainability and Safety (RAMS)have developed as a new Engineering discipline in the recent past. This has evolved and grown in mostly Aviation and Defence Laboratories because the performance in those fields had to be totally dependable and utmost safe. 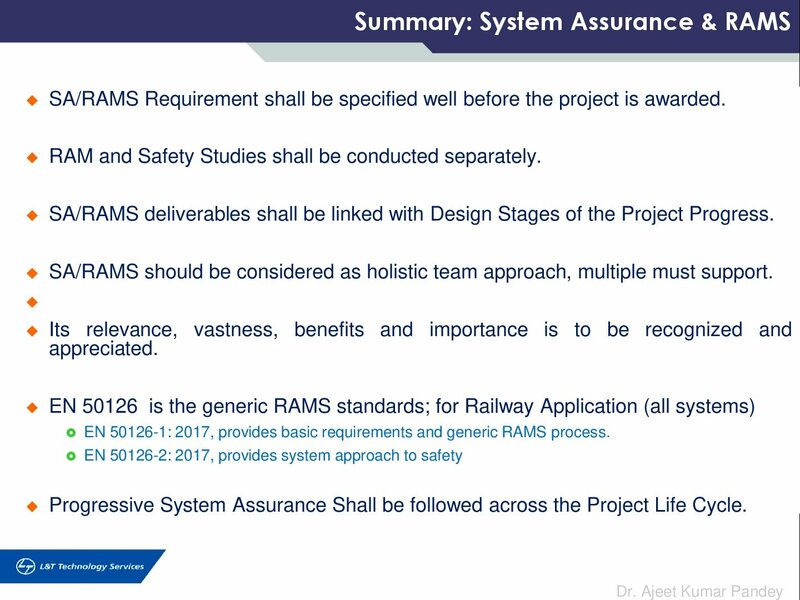 Metro-railways in urban areas need similar high standard of reliability and safety. 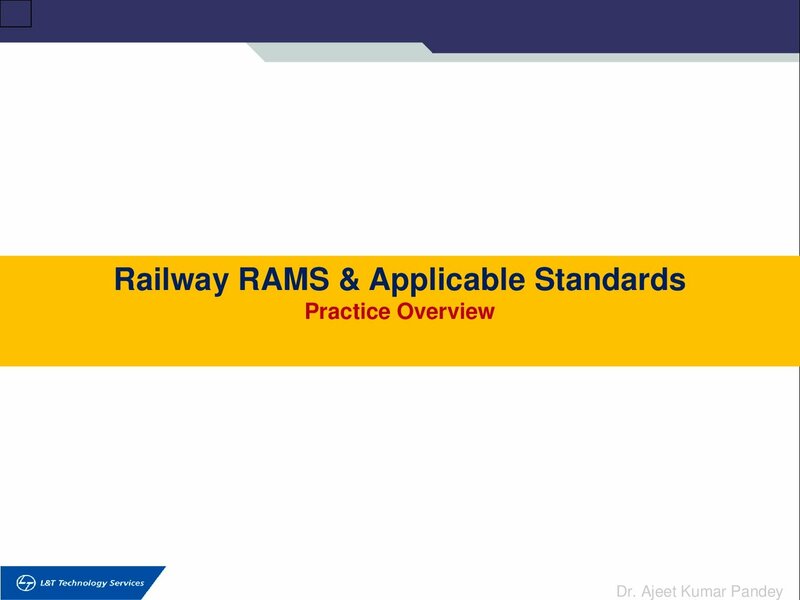 European Commission has issued EN 50126-1999 , updated in the year 2017 for specifying and demonstrating RAMS targets achievement for Railway applications. 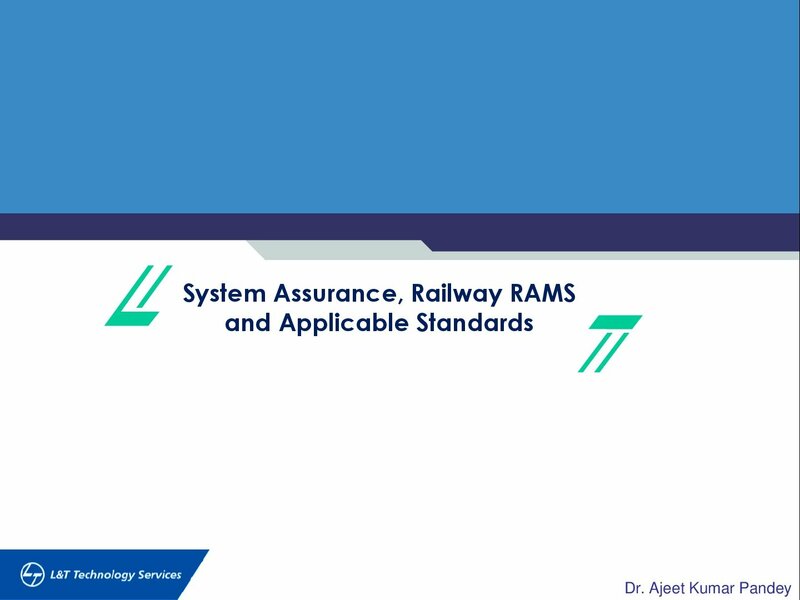 Compliance to international Standards is demanded today for every railway systems; for signaling it is compulsory. 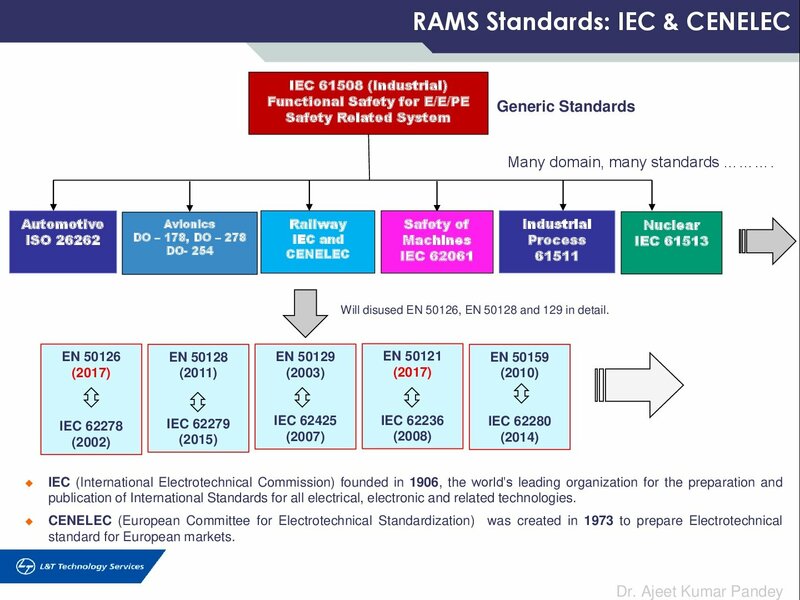 There are many globally accepted standards around the world such as IEC, EN, AREMA, along with some country specific standards. 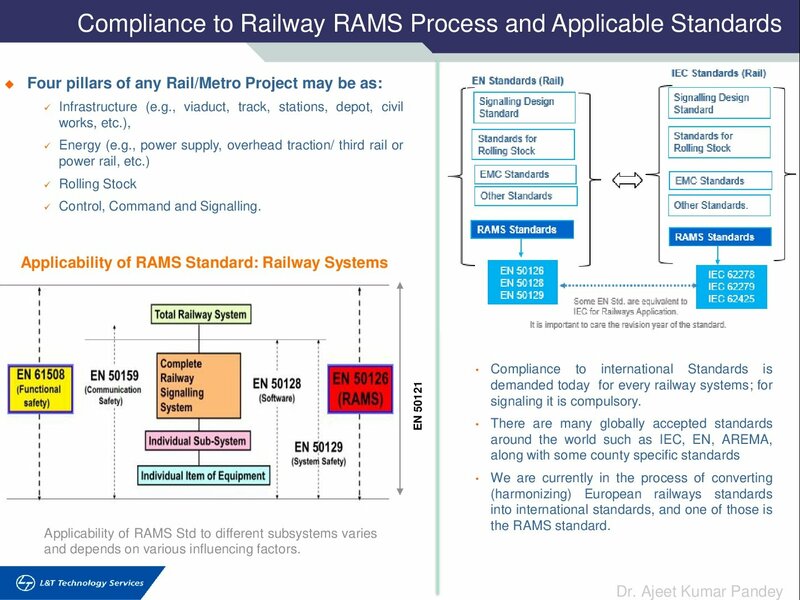 We are currently in the process of converting (harmonizing) European railways standards into international standards, and one of those is the RAMS standard. 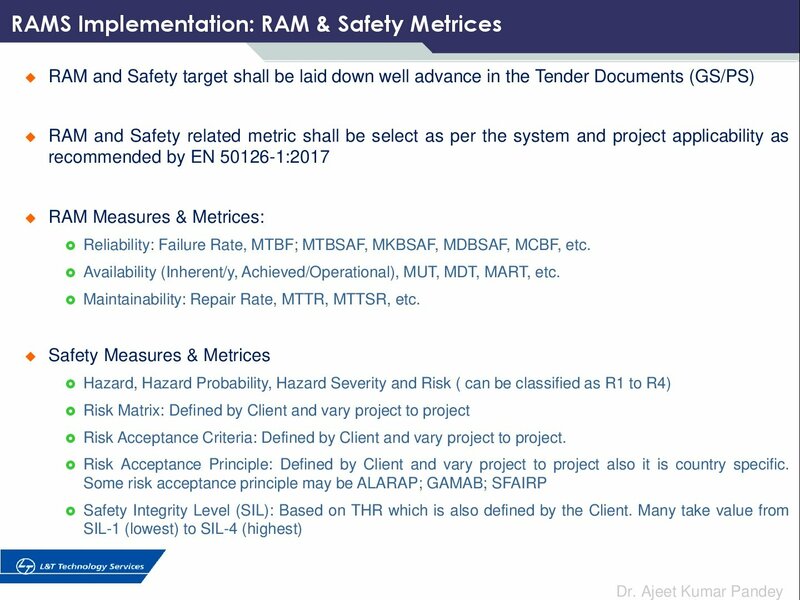 Specification and Demonstration of RAMS Requirements in the tender documents (e.g. design-based; performance-based specification; or data for similar/earlier projects): Recommendation follow EN 50126-1. 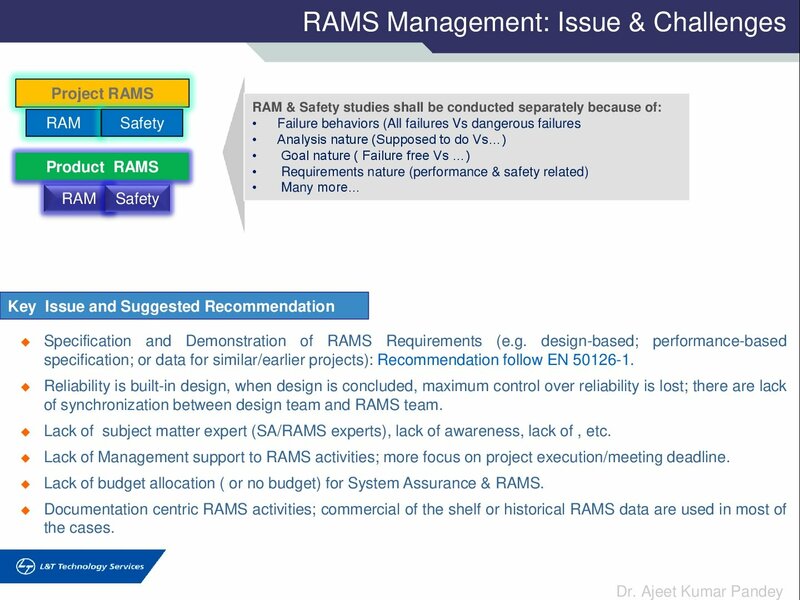 Reliability is built-in design, when design is concluded, maximum control over reliability is lost; there are lack of synchronization between design team and RAMS team. Lack of subject matter expert (SA/RAMS experts), lack of awareness, lack of , etc. 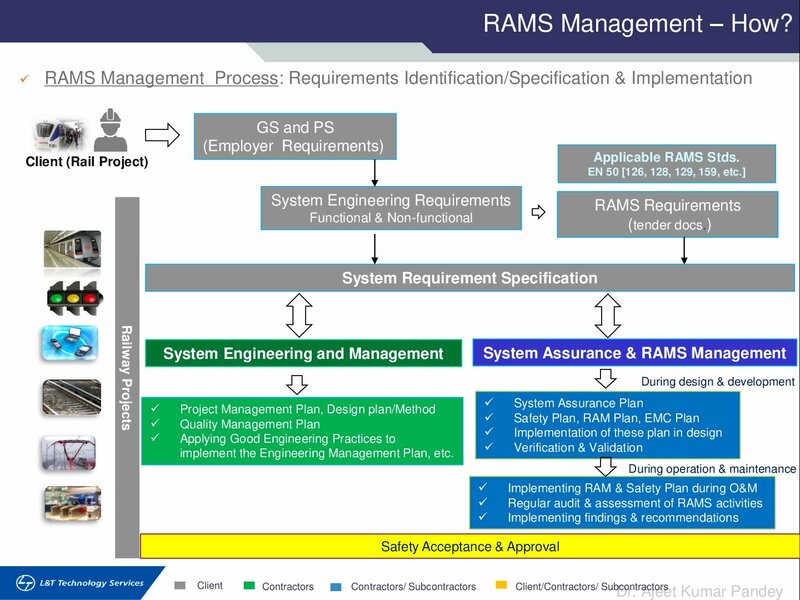 Lack of Management support to RAMS activities; more focus on project execution/meeting deadline. 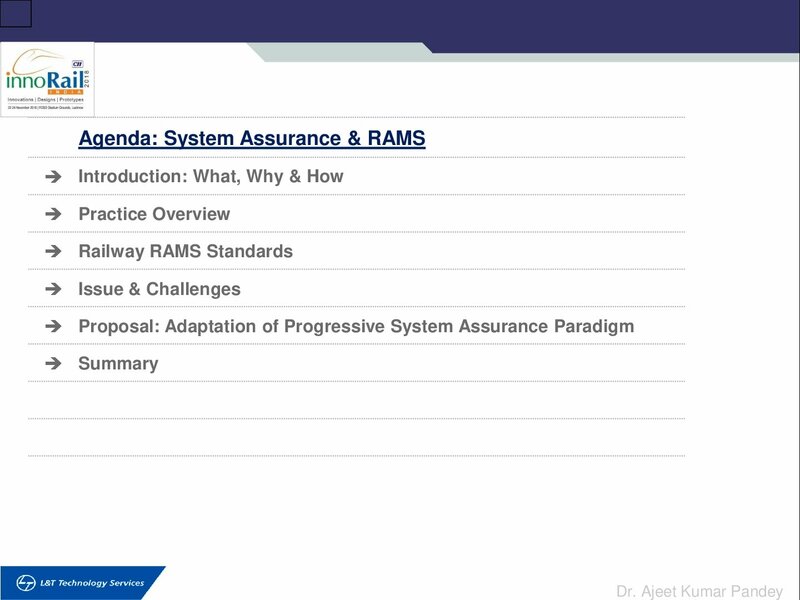 Lack of budget allocation ( or no budget) for System Assurance & RAMS. 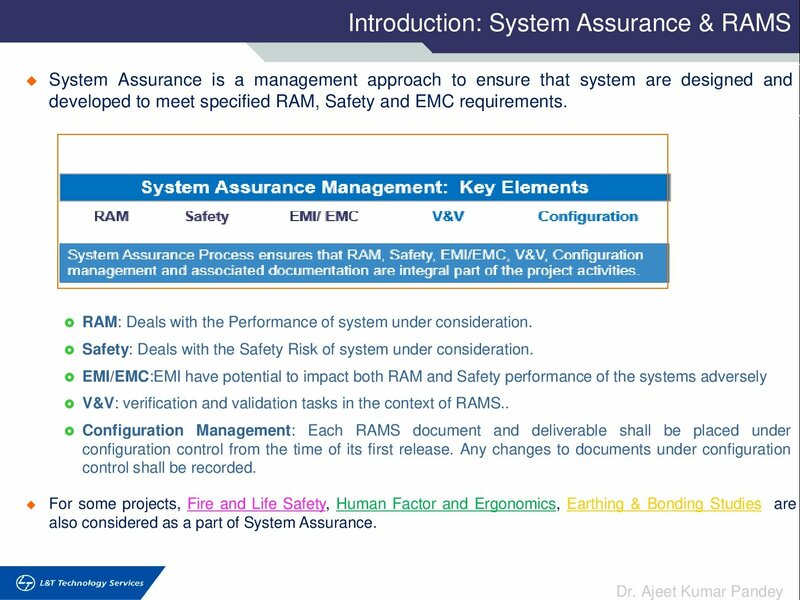 Documentation centric RAMS activities; commercial of the shelf or historical RAMS data are used in most of the cases. 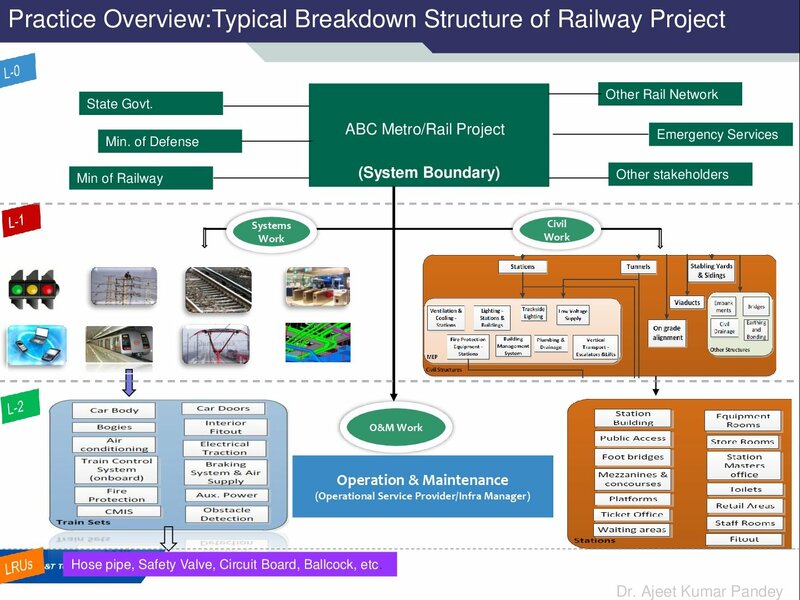 Dr. Ajeet Kumar Pandey, A Ph.D. (Reliability Engineering) holder from Indian Institute of Technology Kharagpur and M.Tech from Motilal Nehru National Institute of Technology, Allahabad, India. 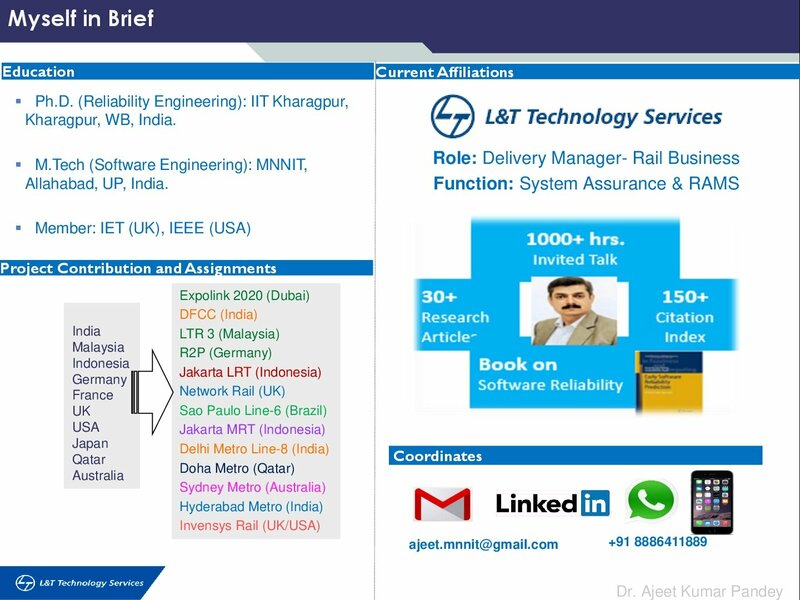 He is working with L&T Technology Services as Delivery Manager. Very good article. Need of the day for Railways. Excellent Dr. Pandey. Keep inspiring. Concise and illustrative article emphasizing the need of the day. 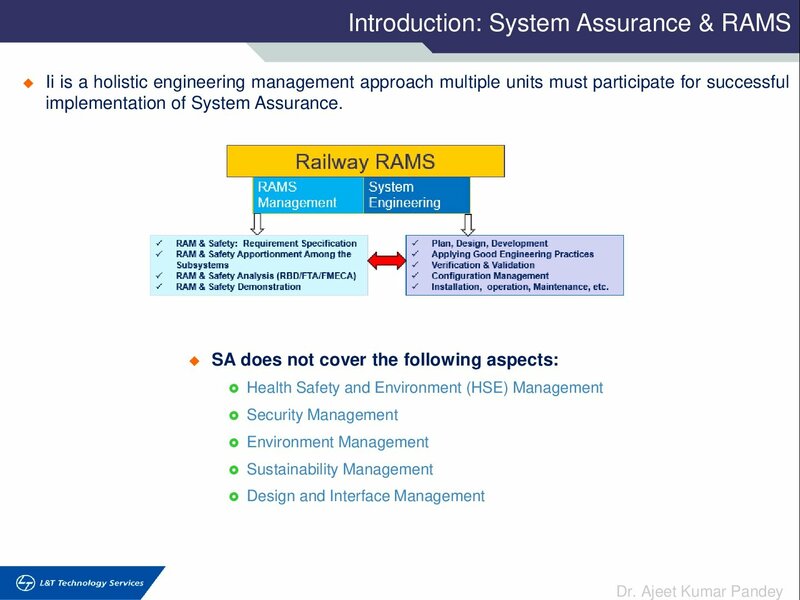 Excellent & Thought provoking article on System Assurance (RAMS) for Railway systems. Great Job Dr. Ajeet. Looking forward for your next inspiring article. Excellent & Thought provoking article.